plus--keep scrolling for a bonus video recipe from honest cooking! ahh, summer. the season that's synonymous with things like sun, citrus, vacay, (most recently, yes way rosé) and most of all, grilling. it's an activity that brings everyone together, because, let's face it--we all love food. even if you don't know how to grill, have no fear. 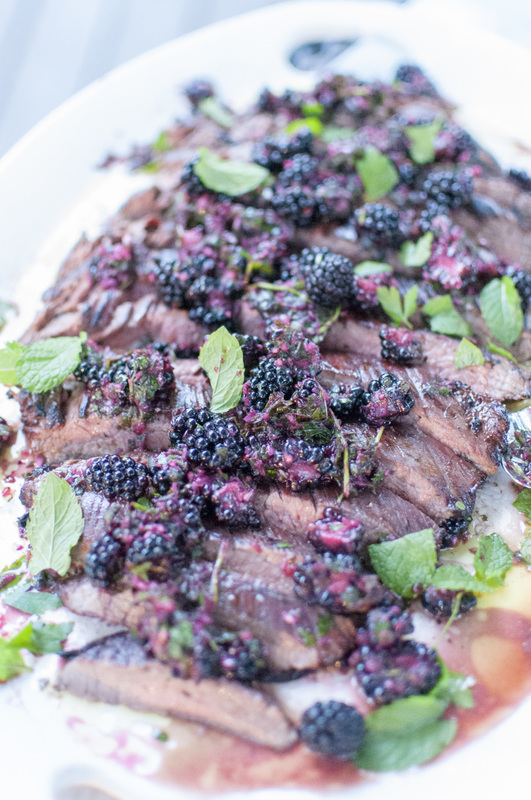 there are many ways to achieve summer superstar status with this no-frills flank steak and (very easy) blackberry chimichurri, that can virtually work on any type of grill or grill pan that can achieve high heat. the best part? 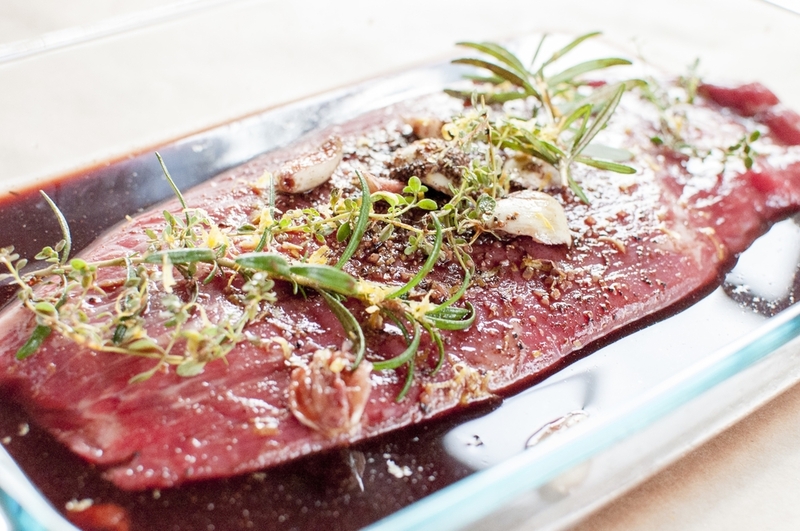 it's marinated in red wine and prep time for this recipe is minimal. make the chimichurri a day ahead, and you're on your way to being a grilling summer sensation with a no-frills (but oh so pretty) meal. when choosing wine to use as the base of any marinade, always go by the age old rule of thumb: use what you love to drink. thanks to the helpful folks at santa rita wines, this delicious 2012 red blend of cab franc, carmenere and cabernet sauvignon is the perfect pairing, (not only for your wine glass), but for the base of the marinade for the steak and is brought out again with the tangy and refreshing blackberry chimichurri. for the blackberry chimichurri, you can easily make this a day ahead--it only improves the flavor! in a food processor, combine the herbs, garlic and shallot until chopped finely. 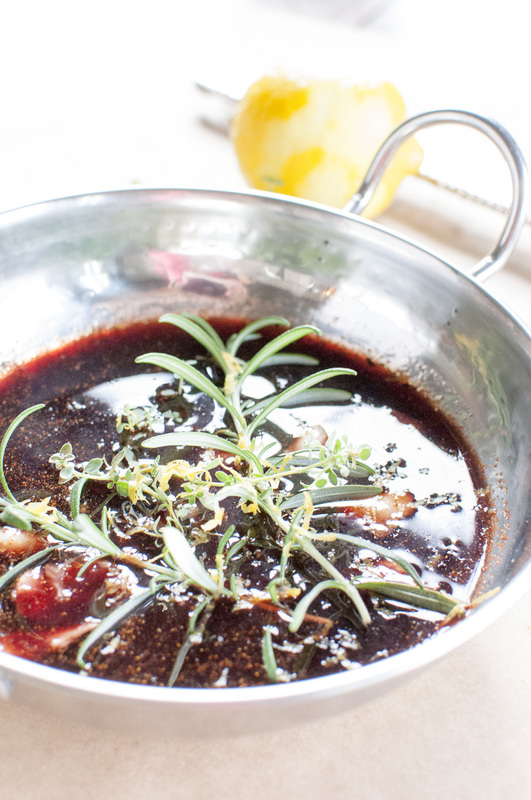 add the mixture to a bowl with the halved or quartered blackberries and stir in the oil, vinegar and chili flake. best part: taste it. then add salt and pepper to your liking. 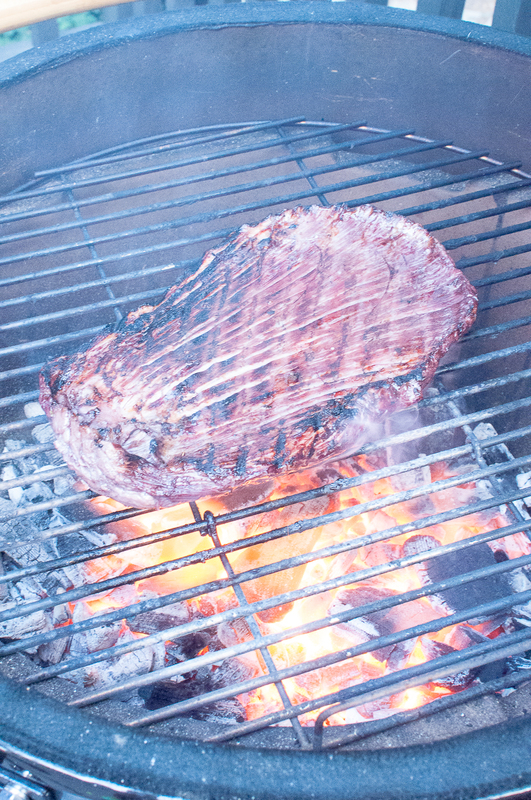 when ready to serve, slice the flank steak against the grain of the meat (aka opposite direction of the layer lines of the steak). 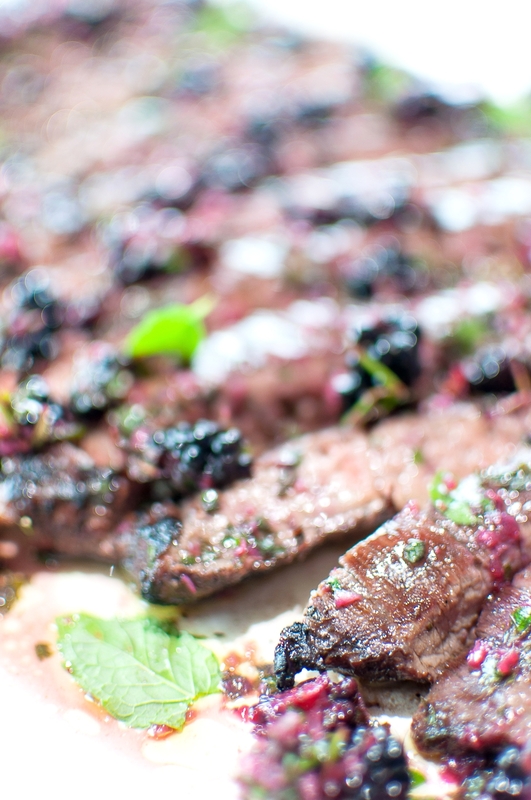 top with the blackberry chimichurri and serve with your favorite summer wine! go on, get grilling.